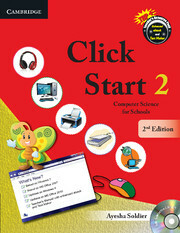 Click Start: Computer Science for Schools is an eight level series of textbooks for students. Books 1 to 5 focus on the fundamentals of computer science. 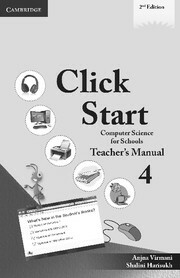 This includes the knowledge of software, hardware, networking, internet, MS Office, LOGO. 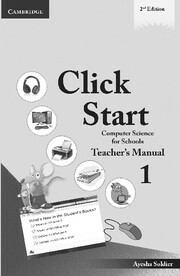 The following key features are interspersed in each chapter of these books: Snap Recap, Learning Objectives, Fact Files, Quick Key and Try This, Activities, Exercises, Glossary and Now You Know, Lab Work, Biographies, Teacher’s Notes. 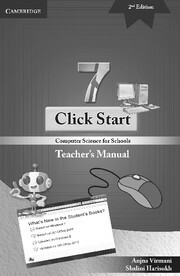 An interactive CD-ROM, with 3D animations, activities, games, exercises, printable worksheets and audio-visual learning modules catering to both versions - Windows XP and Windows 7, is included.